All professionals at Southern Podiatry Group, PC maintain the highest levels of accreditation and pursue ongoing education to stay abreast of the latest trends in the medical field. Read on to learn more about our staff's experience and training. Timothy E. Pitts, DPM is a native of Valdosta. He received his Bachelor of Science Degree from Valdosta State University in 1985. In 1989, Dr. Pitts received his Doctorate of Podiatric Medicine Degree from Temple University School of Podiatric Medicine. He continued his training by completing a three-year surgical residency in reconstructive foot and ankle surgery. The residency program located at Dekalb Medical, founded in 1969, was the first 3-year podiatric surgery training program in the United States. Dr. Pitts was surgically trained by many prominent foot and ankle surgeons including nationally and internationally recognized Dr. E. Dalton McGlamry, Dr. John Ruch, and Dr. Alan Banks. Dr. Tim Pitts is Board Certified by the American Board of Foot and Ankle Surgery, and is a Diplomat of the American College of Foot and Ankle Surgeons. In 1992 Dr. Pitts joined the faculty of the Podiatry Institute; a non-profit educational foundation that has achieved national and international recognition for its leading role in developing and advancing the standard of care in podiatric medicine and surgery. He served on the board of the Georgia Podiatric Medical Association from 2006-2010. 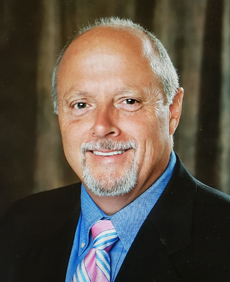 Dr. Pitts, a member of the American Podiatric Medical Association and the Georgia Podiatric Medical Association, has also co-authored several journal articles as well as a chapter in the 2nd Edition of the “Comprehensive Textbook of Foot Surgery. Eric J. Thomas, is a native of the volunteer state with strong roots in Valdosta, GA and is a former Valdosta Wildcat. Dr. Thomas received his Bachelors of Science degree with a major in Biology from Georgia State University in Atlanta, GA. In 2012, Dr. Thomas received his doctorate of Podiatric Medicine degree from Kent State University College of Podiatric Medicine in Independence, Ohio, formerly called the Ohio College of Podiatric Medicine (OCPM). 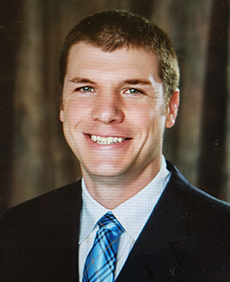 He continued his training at UF Health in Jacksonville, FL where he then completed a 3 year residency in reconstructive foot and ankle surgery and also served as chief resident. Dr. Thomas is board qualified by the American Board of Foot and Ankle Surgery, and is an associate member of the American College of Foot and Ankle Surgeons. He is also a member of both the American Podiatric Medical Association (APMA) and the Georgia Podiatric Medical Association (GPMA). Upon completion of his residency, Dr. Thomas moved to Hahira, GA with his wife Bianca and two sons, Parker and Mason. Dr. Thomas enjoys nothing more than spending t ime with his family and friends. He also enjoys sporting events, music, and outdoor activities such as hunting and fishing.